Despite having a devastating impact on thousands, the disease known as valley fever is largely overlooked. While other diseases like hantavirus and West Nile virus get massive amounts of media and government attention, an "epidemic" of valley fever has been quietly developing across the American Southwest, including here in the southern San Joaquin Valley. Over 150,000 people are sickened each year by the fungus that causes Valley Fever, and around 100 die of the disease. 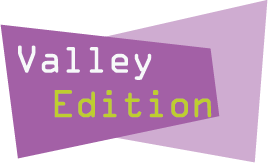 On this segment of Valley Edition, we talk to journalist Rebecca Plevin of the bilingual newspaper Vida en el Valle about the new project "Just One Breath" from the Reporting on Health Collaborative, which aims to bring greater attention to valley fever research. We will also find out why cases have spiked in recent years, and what is being done to address its sometimes devastating consequences of the disease by talking with John N. Galgiani, MD, director of the Valley Fever Center for Excellence at the University of Arizona, and Kirt Emery, health assessment and epidemiology program manager with the Kern County Public Health Services Department. We'll also hear your stories, and those of other valley residents who have suffered with the disease. According to the Labor Center at UC Berkeley, unemployment among African Americans in California is currently at 14.1 percent. What can be done to bring jobs to African American communities, and how are minority owned businesses weathering these tough economic times? Tate Hill, President of the Fresno Metro Black Chamber of Commerce joins us to talk about these issues and more, and host Juanita Stevenson brings us a special report about urban unemployment in the San Joaquin Valley. The foothills of Mariposa and eastern Madera counties will come alive this fall with the 10th annual Sierra Art Trails event. The show takes place in homes, studios, galleries, and businesses in more than a dozen communities, and gives art enthusiasts the chance to see fine art in the making, and to purchase works directly from the people who create them. The show features artists and artisans working in a wide range of media including painting, photography, jewelry, sculpture, fiber arts, woodcarving, ceramics, glass, and more. Gloria Garland joins us to talk more about this exciting event, which begins with a gala reception September 15th and the open studio tour October 5th through 7th.